I’m pretty sure the man things pouch is my favorite. It would be great to use while traveling for toiletries or for his passport and travel documents. Which one is your favorite? Awesome! 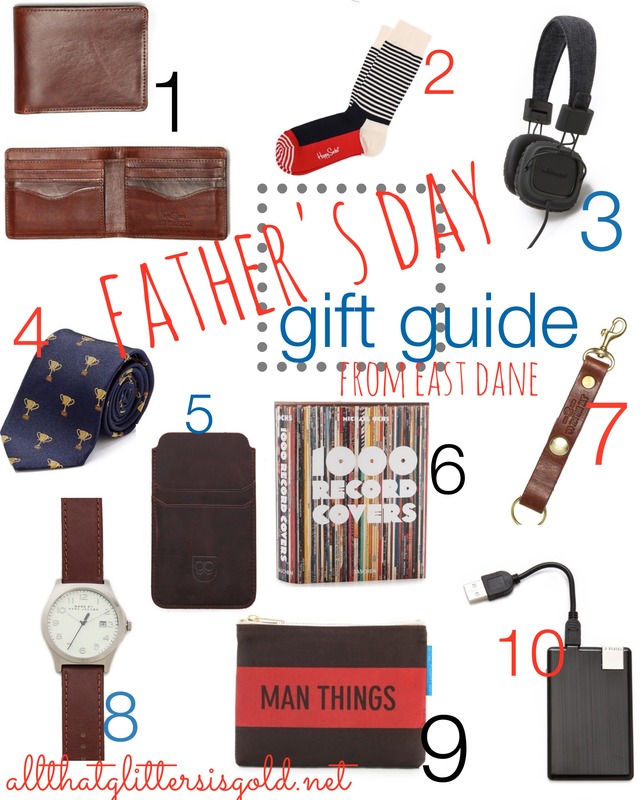 I did a Fathers Day gift guide a week or so back and my first sentence was very similar to yours haha – proves all Dads are hard to shop for! That watch is very smart. I think its hard to find a reasonably priced watch that still looks ‘smart’. They are! I think Dad’s just buy what they want so they can never think of something they want! lol! The “Man Things” pouch is funny! I think the 1000 album covers book is pretty awesome. I know a few men who would enjoy looking through that! Haha! I think I would want the pouch for my hubby more than he would want it…he would probably think it was silly, but I think it’s fun! Dads always need new wallets. But I LOVE that 1000 Record Covers collection! LOVE the “man things” pouch! Too funny! Isn’t it hilarious?! I think my hubby would call me nuts…but I want him to have it! Lol!